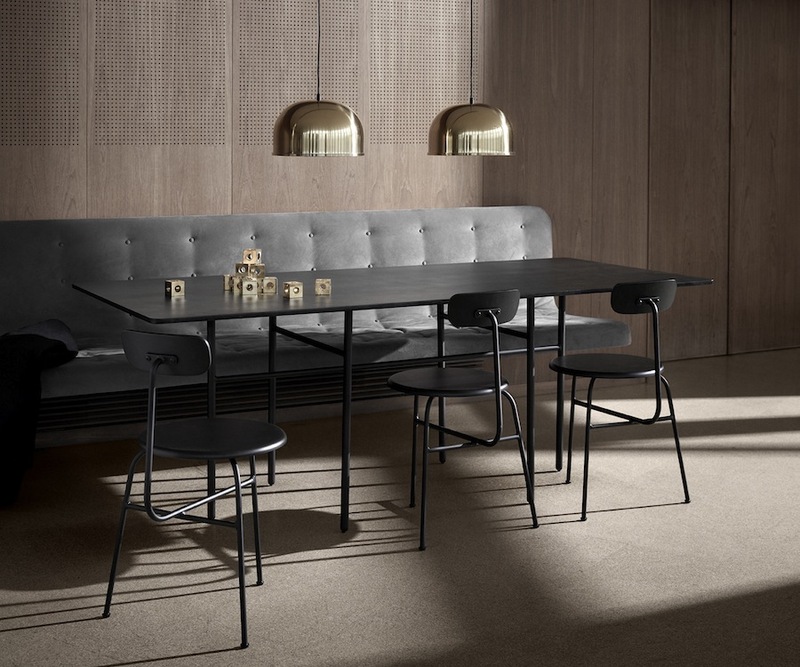 Snaregade table by Norm Architects with Afternoon chairs – All photos by MEU A/S. 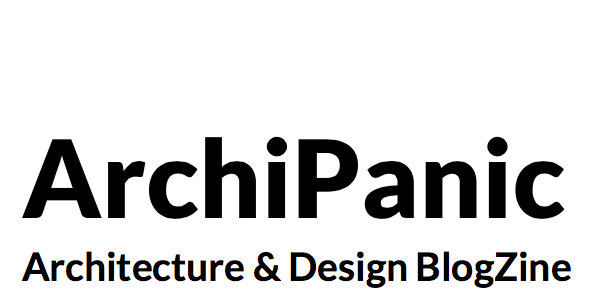 Stockholm 2016 – Modernism reimagined. Menu A/S launches new collections of minimalist furniture and home-ware that were created to look like the simplest things one could expect. 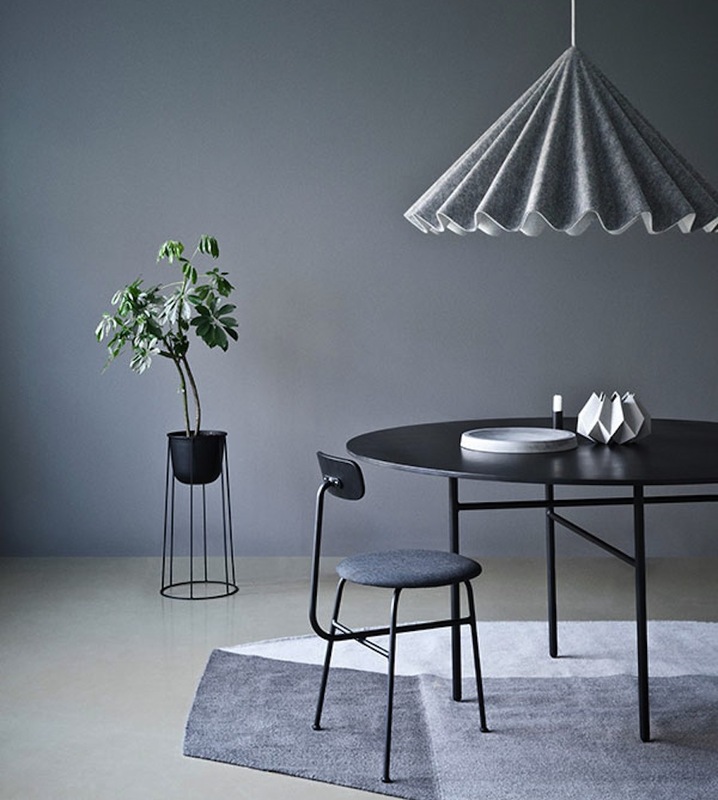 The Danish furniture brand teamed with Afternoon, Norm Architects, Anderssen & Voll, and Note Design Studio to pay homage to Danish Modernism. “In postwar Denmark, Modernists shaped affordable objects for everyday use with simplicity and functionality. 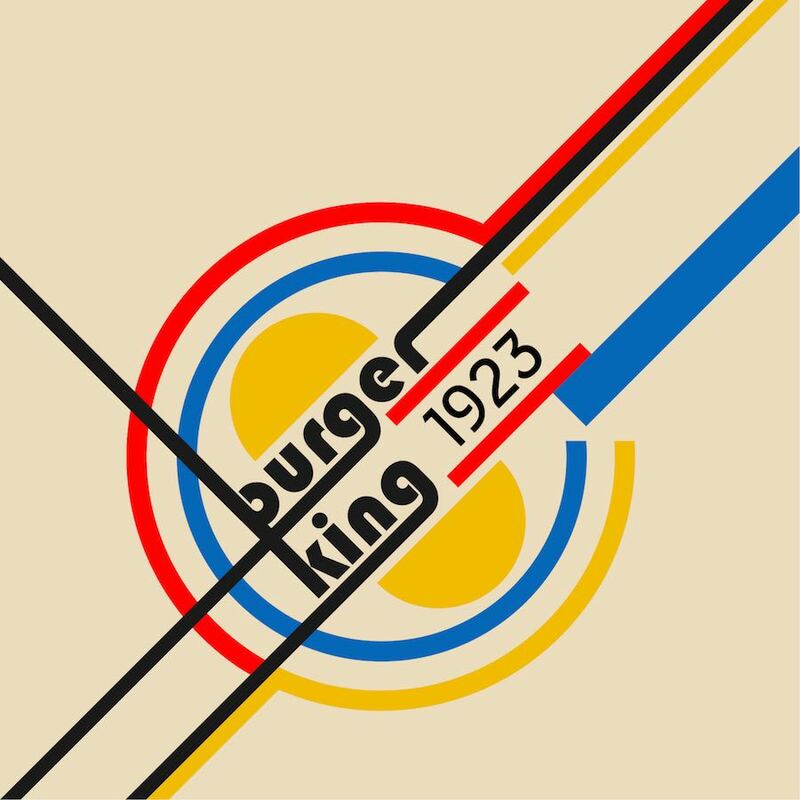 Like them we think design is supposed to remake the world, to make it better, less complicated, but also to do something very essential. 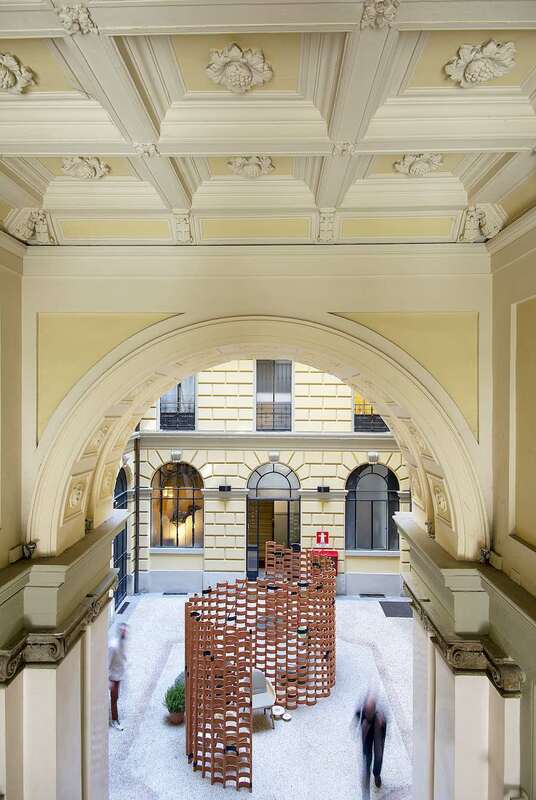 We call it Modernism re-imagined” says Jonas Bjerre-Poulsen, Creative Director, Menu. 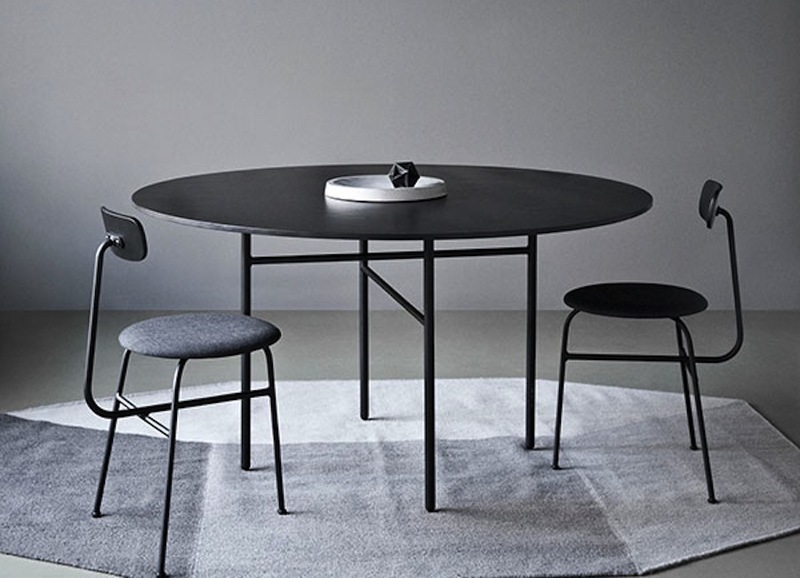 The new series includes the minimalist Snaregade table by Norm Architects. The furniture features an oval, round or rectangular top made in MDF with veneer. Minimalist legs in power-coated steel are joint with a minimalist light design. 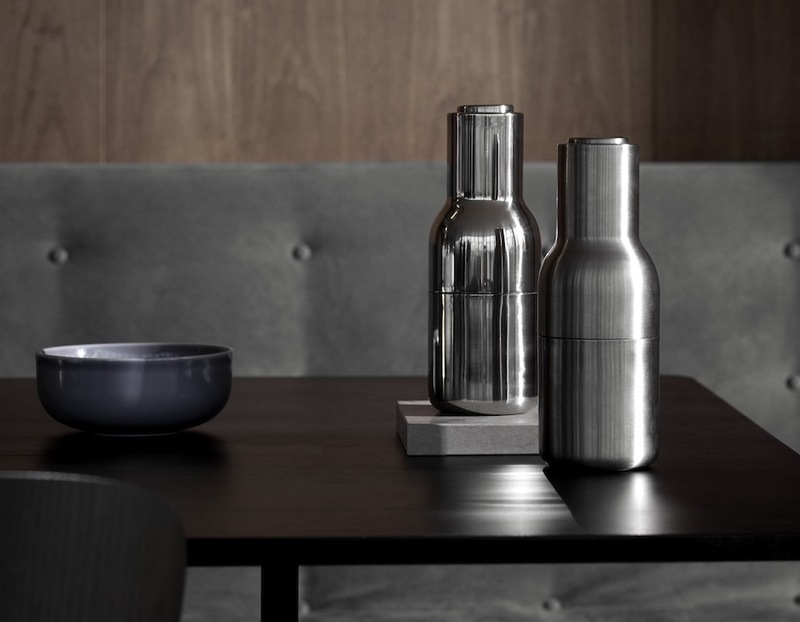 The Danish practice created also a water bottle in glass with a brass lid and a bottle-shaped salt and pepper grinders in brushed and polished stainless steel. 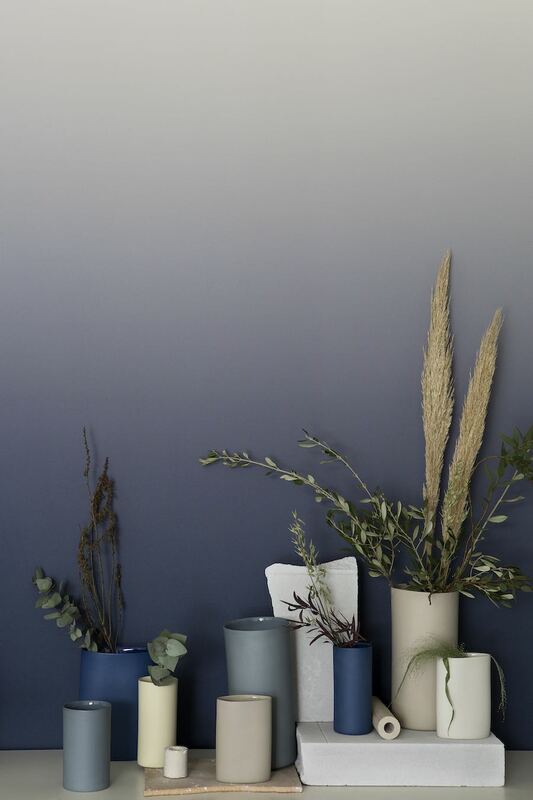 Their Stone lamp combines grey smoke-tinted glass shades on a ceramic base to diffuse a warm light in all the cosiest corners of the room. MENU A/S: Wall clock by Norm Architects. 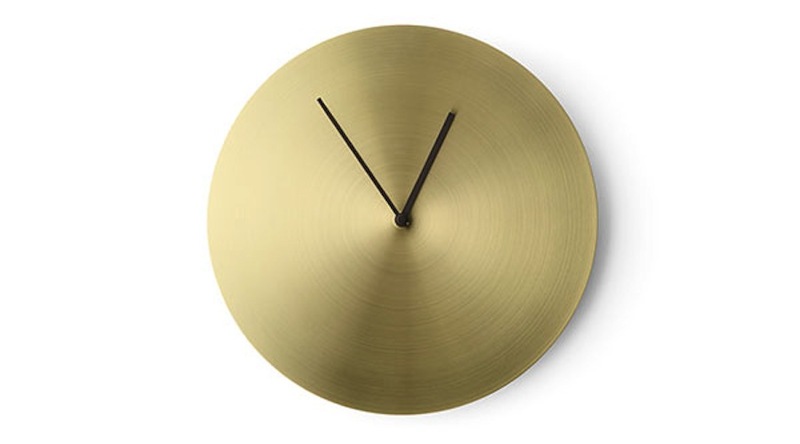 Norm studio designed also a wall clock that celebrates the most essential features of metal and brass and a tumbler alarm clock with a rounded bottom and no- tilt design. 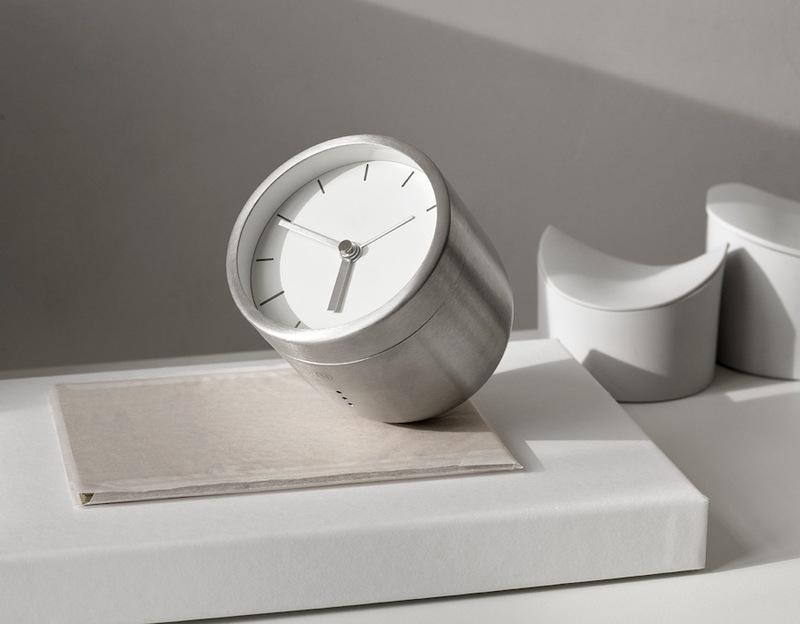 MENU A/S: Alarm clock by Norm Architects. The Well watering can by Anderssen & Voll pays attention to gardening ambitions with a practical, yet minimalist, stainless steel design that matches Norm Architects’ vases. 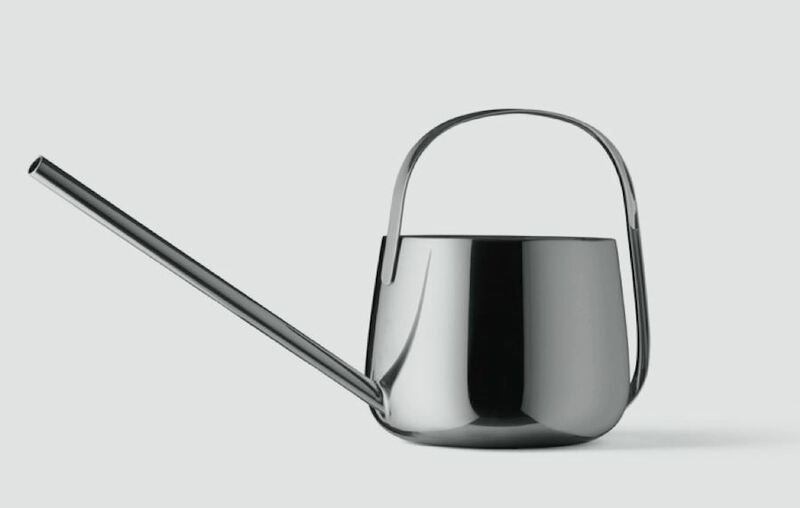 MENU A/S: Well watering can by Anderssen & Voll. 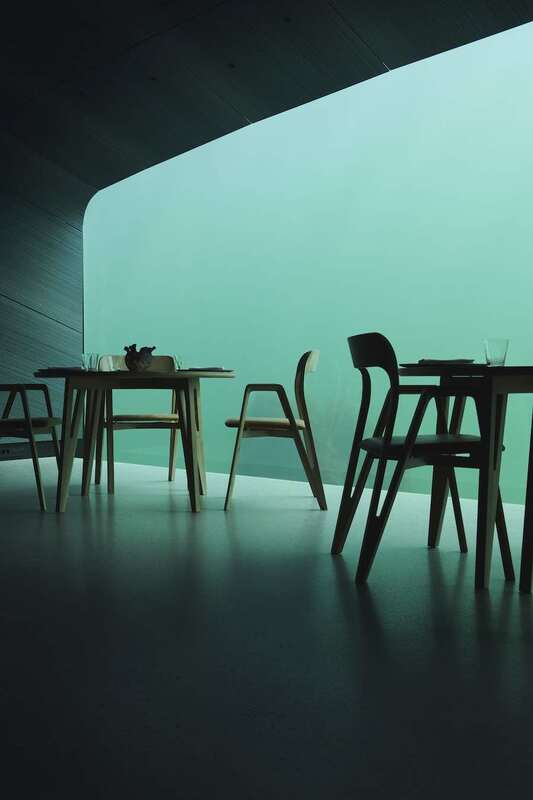 For their latest Menu chair, Hung-Ming Chen and Chen-Yen Wei of Afternoon studio drew inspiration from two modernist designs: Michael Thonet’s classic Bentwood Armchair and Børge Mogensen’s Spanish Chair. 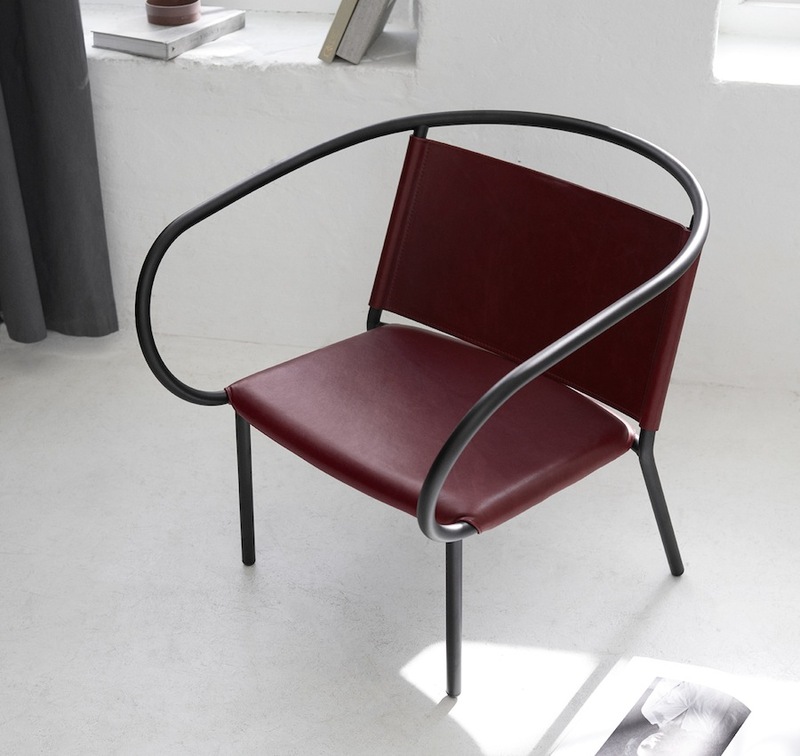 The result is a lounge chair, with leather upholstery and steel arms that curve around to form a continuous backrest. The design duo developed also a coordinated bench inspired by Bauhaus design and a minimalist three-legged chair that comes with bespoke leather upholstery and Kvadrat textiles.Coffee and bar tables complete the Afternoon collection. 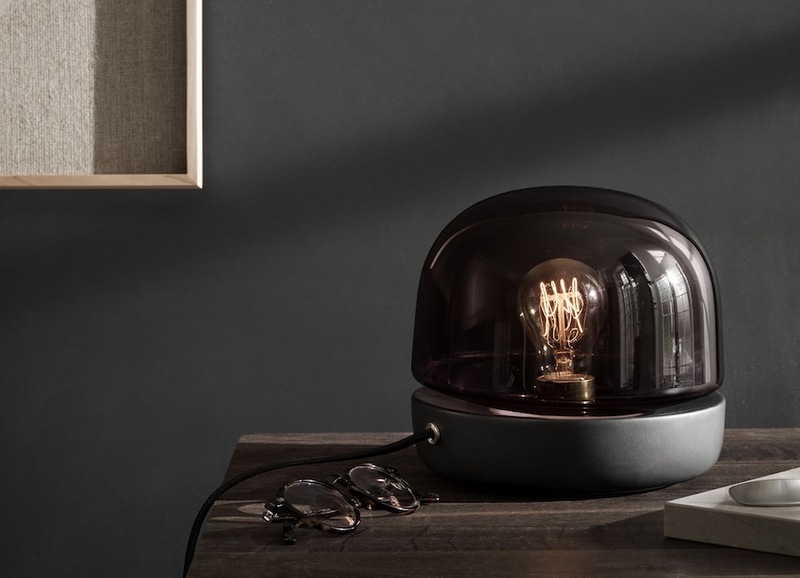 Note studio designed Melt, a crafted candle holder offering a material-intense experience. 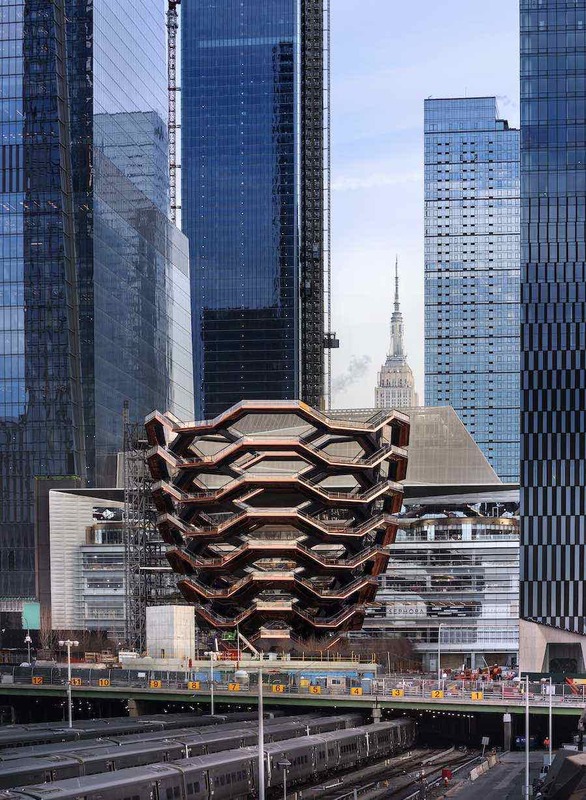 The glass is heated to above thousand degrees Celsius and, in heated state, poured over a structured surface with add the significant pattern to the candle holder. 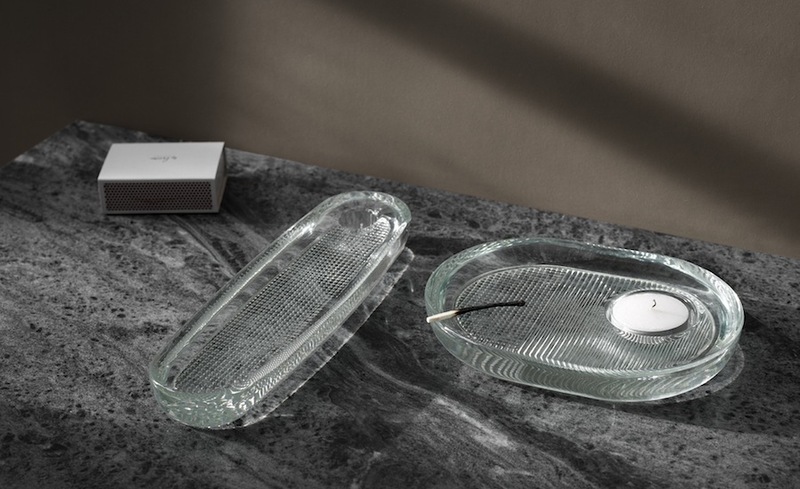 The graphical lines vibrate through the massive glass objects, and when the candle- holder is cooled off, the lines become distinctly frozen in time. All photos by MENU AS. 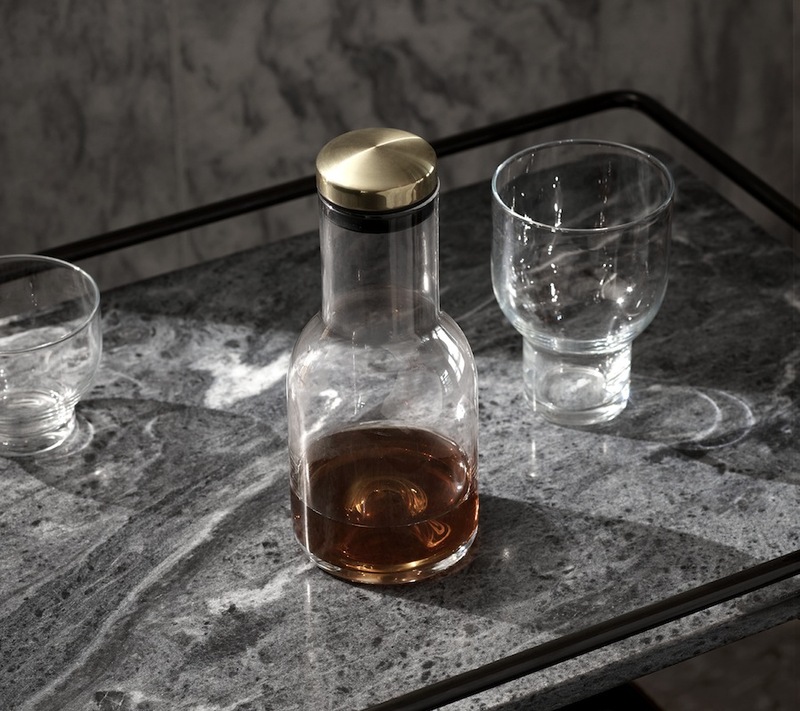 Water bottle by Norm Architects.